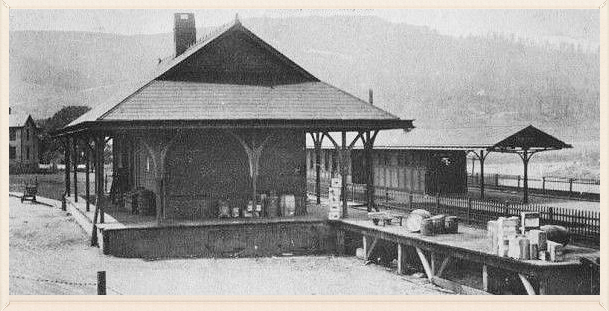 The railroad station sat on the southside of the tracks and the passenger station sat between the tracks. The passenger station was accessible through a set of stairs that ran from Market Street under the train bridge at Station Hill up to train level. The steps were cemented over when the passenger trains stopped using the station, and the station has since been torn down.